Acrylic Pendant 3/4" "Bada Bing" Set of 120 for Wedding Trees & Chandeliers! Home > Garlands & Pendants > Pendants & Ornaments > COMING SOON! Acrylic Pendant 3/4" "Bada Bing" Set of 120 for Wedding Trees & Chandeliers! COMING SOON! Acrylic Pendant 3/4" "Bada Bing" Set of 120 for Wedding Trees & Chandeliers! 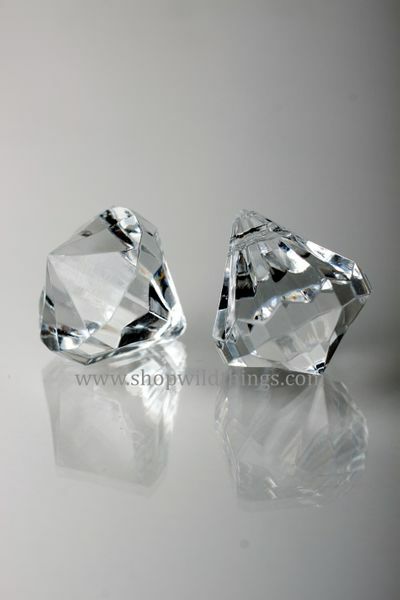 These beautiful faceted acrylic crystals are 3/4" tall and 3/4" in diameter! Perfect for those projects where you need maximum impact with a WHOLE LOTTA "BADA BING" for just a wee bit of cash. 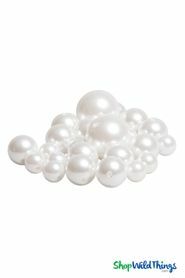 For $24.99 you will get 120 pcs! Each acrylic bead has a pre-drilled hole in the top. Creative uses for these would be in a window (make your own beaded curtain! ), hanging in plants, in a crystal wedding tree, on a chandelier, in floral arrangements....just about anywhere that you would like some seriously beautiful and low cost elegance! 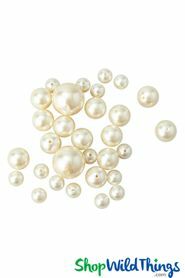 Loose Pearls - 3 Bead Sizes With Hole - About 84 Pearls or 1.5 Cups - Ivory - BUY MORE, SAVE MORE!